Why not get the best print quality with less resources on your home or work printer. Here’s a tip from the pro’s at DRS and with a little testing, your home or office printer will be working more efficiently and putting out higher quality picture. The new digital printers are great. They have the capability of generating exceptional four color printing results. One of the great things about digital printers are their versatility because they allow operators to change a variety of settings independently. The factory setting recommendations only tell part of the story. They work great for the novice operators who are not interested in getting the most productivity out of their digital printers as possible. Many operators are content to just have the printers work as advertised. I have actually found that I can print at a lower resolution and obtain better print results by tweaking the settings, outside of the factory recommendation, resulting in a savings in time and ink usage. It was a matter of experimenting with the settings and printing test runs to see the results at each setting. 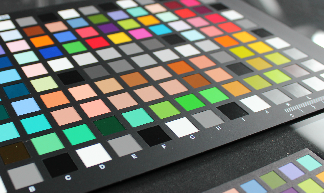 It is worth the time to experiment with the settings for your digital printers to better understand what their real capabilities are and how they can be even more productive for your business.